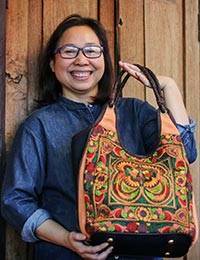 Thailand's legendary textile artistry comes to life in this elegant handbag from Chirada. 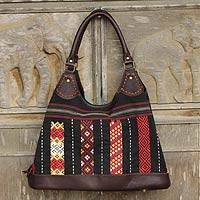 Colorful patterns hand-embroidered in cotton recall the uniqueness of hill tribe artistry. 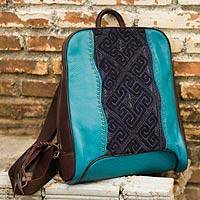 They are sewn over woven cotton creating two practical exterior pockets. Inside, the bag is lined in cotton and features three pockets, one with a zipper. 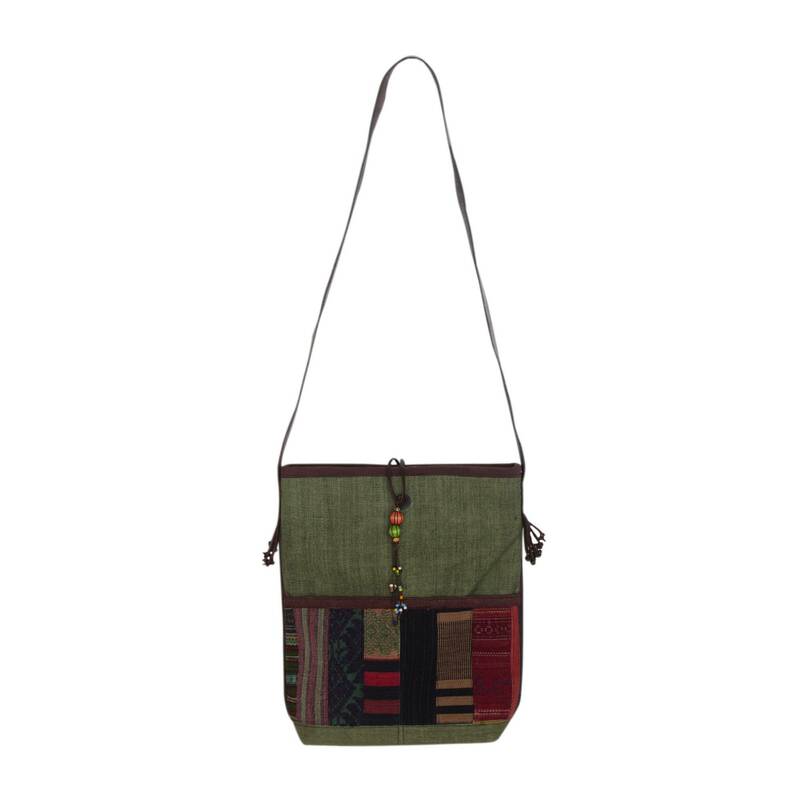 The strap is crafted of fine leather and the bag is further embellished with colorful mango wood and glass beads. 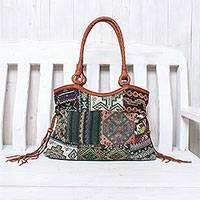 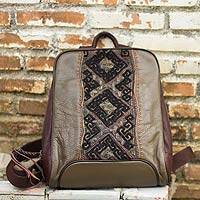 Please expect slight differences in the embroidered motifs as Chirada relies on their availability.